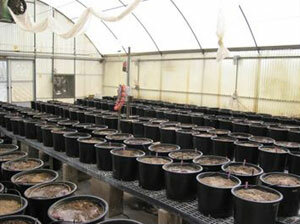 GSA restoration scientists, in conjunction with the University of Arizona, conducted a phased laboratory, greenhouse, and field study to assess the feasibility of using native tree seed for large-scale riparian revegetation. Seed collection and treatment methods, seeding methods, seeding rates, and irrigation methods were optimized to maximize restoration success and minimize revegetation costs. 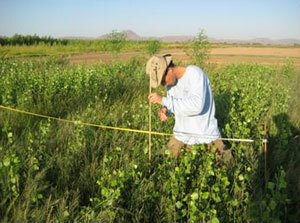 Long-term monitoring documented survival, growth, and native/non-native vegetation competition. 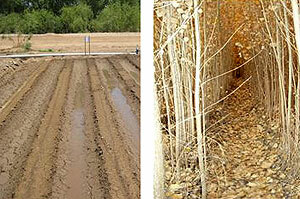 Irrigation depth and frequency were analyzed to determine effects on vegetation composition. Study results indicated direct seeding can be a cost-effective method to enhance vegetation density and diversity for riparian restoration projects.